According to a recent report by the Sentencing Project, in the United States approximately 100 Million people have a criminal record and over 2 million people are currently in jail or prison. For these people, having even a minor criminal record, such as a misdemeanor or even an arrest without conviction, can create an array of lifelong barriers that can result in isolation, substance abuse, depression, poverty, and even worse criminal trouble in the future. As a result, numerous companies have been established by or for ex-fellons to have the training, employment, resources, and conditions needed for success — everything from bread companies to restaurants, and starting soon, a tiny house manufacturing company. Below is a letter from Michael Jalazo who is working to help launch “Second Chance Tiny House Manufacturing Corporation” in Florida which will help homeless people as well as people with a criminal record, to get education, jobs, and housing. It’s the first program like this in the nation that we’re aware of, and we’re excited to have the small house movement being embraced by those working to create re-entry opportunities. We wish them the best of luck with their endeavor. Presently they are needing help with small house plans and designs. My name is Michael Jalazo, and I am the Executive Director of Pinellas Ex Offender Re Entry Coalition (PERC), a nonprofit in Pinellas County, Florida (Tampa Bay area) that helps formerly incarcerated individuals get back on their feet upon reentry into society. PERC is proposing an exciting social enterprise project to a local foundation for support and I am hoping you’ll partner with us. We’re creating a workforce development program that will train former offenders to construct eight tiny houses in one year. This on the job training will lead to full-time construction job opportunities with the City of St. Petersburg for at least 32 hard to employ formerly incarcerated individuals. By teaching ex-offenders to construct tiny houses they will develop a tangible skillset that will reduce their chances of returning to incarceration. Workforce training refocuses these individuals’ time and efforts on prosocial activities, making them less likely to engage in riskier behaviors. Attaining a job will enable them to generate income, enhance self-esteem, improve physical and mental health and become self-sufficient. Once self-sufficient, former offenders will come full circle, contributing to society rather than being supported by government and social services. 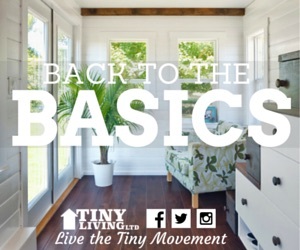 This project, titled “Second Chance Tiny House Manufacturing Corporation” will yield tiny houses for profit, in turn creating a sustainable business. We will also work with the Pinellas County government, the city of St. Petersburg and the Homeless Leadership Board to populate empty lots with tiny houses to create rapid housing to reduce homelessness in Pinellas County. A number of partners are already involved in this project, providing stipends for training and lots to build on. An experienced contractor who is also a veteran in recovery will lead our efforts. 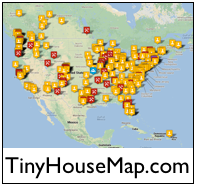 However, we are in need of plans and designs for tiny house construction. Will you help turn around the lives of these in-need formerly incarcerated individuals by collaborating with PERC and donating tiny house plans? Time is of the essence. We are submitting our grant proposal at the end of this week – please reply to this email and tell me that your company is in! PERC is a nonprofit, so your contribution will be tax deductible. Certainly, feel free to call about details. Join Nextdoor, Build community, Get $25. Nextdoor is an social network that’s grounded in real-world neighborhoods and communities. Right now, when you join Nextdoor, you’ll get a $25 Amazon gift card. Click the infographic below for a larger image and learn more about the how neighbors and communities interact. Mary left before we could respond to her. We’re thankful to everyone for the lively Facebook discussion and many positive comments/likes in response to this video. For the few people, like Mary, who were upset about the video, we wanted to respond with the following. This video appears to have been created by people close to the small house movement, and we assume it was not mean spirited or meant to offend. It may have been created as a way of being satirical and self-effacing, or it may have been created as an effort to be mean and try to discredit the small house movement and tiny house dwellers. Either way, it belongs here as part of the larger discussion about simple and small living. We don’t silence and censor our critics. To the extent that people have criticisms about the small house movement, we want to hear those criticisms, reflect on them, respond courteously, and work to improve what we do. For this reason, in any movement, it is essential to become the authoritative source and platform for the criticism of your movement. Instead of censoring others in an effort to create a cult-like myopic sectarian strict observance of narrow dogma, it’s important to have a diversity of ideas, the ability to laugh at yourself, and recognize your own faults or areas that can improve. This is the spirit upon which the Small House Society was founded, and in that spirit we continue. Many of you responded positively to the post from Janet Thome of Tiny Portable Cedar Cabins about her need for a caretaker. As a result of the overwhelming response she received, Janet assembled the caretakers opportunities list below for those still seeking a land caretaker opportunity. I am very excited regarding all the interest in my Caretaker position and the other possibilities for my community in Marlin, Wa. The only bad thing is I cannot take everyone and it will be very difficult to choose. I want to thank everyone who shared my post, I am very grateful. I am going to take my time on deciding, so please feel free to contact me. I will spend the next few weekends talking to people. Because I cannot take everyone, I would very much like to help pass on some information where there are other communities and care taking possibilities. The fact that my post wanting a caretaker was viewed over 97.000 times tells me there is a great need and interest. I hope these resources help others. The Caretaker’s Gazette is a wonderful resource to find care taking positions all over the world. It is very affordable to get a yearly subscription. You can put an ad in if you are seeking a position or if you need a care taker. They also do regular emails listing new opportunities. Intentional Communities is a website listing intentional communities all over the world. They usually have their homes and land established and are often looking for workers and members to join. You can list a free ad. Workers on Wheels is a free resource to find paying positions as a care taker or a camp ground host if you have your own RV or tiny house on wheels. There is a new Tiny House community forming 2 hours from Eugene, Oregon in a very rural location. It is on 10 acres and it will have full hook ups for tiny houses and RV’S. It is so new it does not have a name yet, but I am going to work with the owner to send people his way, so please contact me if you want to know more about this community. He does not have a website yet. I will add more information as I get it. 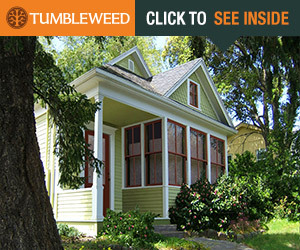 Janet Thome is the proprietor of Tiny Portable Cedar Cabins in Marlin, Washington. I am on the look out for a caretaker for my land. It can be 1 person and I will consider couples. I am building a brand new cabin for you. It is called The Caretaker’s Cabin. I am especially looking for someone who wants to put down roots and wants to be a part of a community. You must have skills in landscaping, some mechanical and building skills to make tiny house furniture. Please read all my posts on The Caretakers’s Cabin to get an idea of the skills I desire and what I am hoping for as a person. We love, love dogs. I look forward to helping you build the cabin of your greatest imagination and to meet others that love tiny houses and want to join my community. Click here to contact Janet about this wonderful opportunity. We’re very appreciative to everyone who is helping spread the word. In the past few hours we’ve had about 10,000 visitors to this page. The maps below show the most recent visitors. Click a map for a larger gallery view. Thanks to everyone on Facebook who are liking and sharing the post about this story. As of 30 November 2014 we had 292 people share this story and over 97,000 views. I have 2 acres in rural central Washington State. The tiny town is 2 hours from Spokane and 40 minutes from Moses Lake. We are 15 minutes from Odessa, a small town of 900 people and it has a hospital. My desire for a community is for each of us to have our own sovereign unit where we can all have our privacy and cherished alone time and come together as supporting friends. I have a brand new Tiny House available now, 1 spot for someone who has their own Tiny House and needs parking, starting in May 2015. I will also consider bartering with the person who wants the parking spot for someone who loves to make beautiful gardens. I can barter for 6 months, especially if you can grow beautiful food. I am desiring to find others who want to make a stand with me and be the change we want the world to be. No GMO seeds or poison are allowed and you must use biodegradable products. We have a greenhouse and are doing Aquaponics. Below is a map showing the area near the tiny house village.